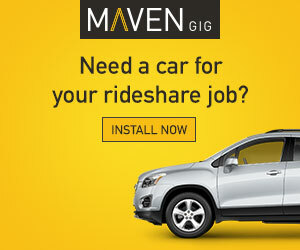 Have you ever wondered how much Uber makes from drivers? It’s difficult to know exactly how much Uber makes in profit vs. drivers’ profits, but senior RSG contributor Will Preston tackles this challenging question and shares his analysis below. I made a little over $200 driving 400 miles last weekend in about 12 hours of driving. But the question I wanted to answer is how much did I actually make – and how much did Uber make – after we take all expenses into consideration. How much Uber makes from you will depend on when and where you drive, and how much you make in tips will also factor in to your calculations. 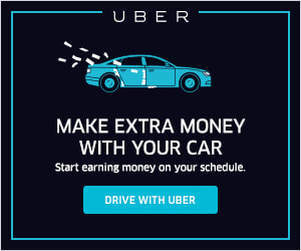 For the purposes of this article, I’ll break down some key concepts to understand before getting into the spreadsheet I created to determine how much money Uber makes off of my driving. I’ve included a copy of the spreadsheet for you to run your numbers as well – let us know what you come up with in the comments. It’s important that I define a few terms that I’m going to use in this article before I use them. Being on the same page with terminology is really important in a discussion like this. Revenue is the amount of money charged to the customer. Incremental revenue is the amount of revenue from a single business transaction. Gross revenue is the amount before any costs are deducted. Uber’s incremental revenue is the amount of money a given customer paid for the ride. My incremental revenue is the amount Uber paid me for delivering that ride. Variable, or incremental, costs are those costs that change based on how much you sold or delivered. My variable costs are the cost of gas, maintenance, and depreciation for the miles I drove for a particular passenger. As I discussed in an earlier article, you need to determine what your per mile cost is and use this as your variable cost. Uber’s variable costs for a given ride are what they paid me to deliver the ride, plus the cost of a few additional cloud computing cycles. This cost is really hard to calculate, but suffice it to say that the variable cost of a given transaction should be next to nothing. For what it’s worth, my day job involves cloud computing and I understand how that world works. I’m sure that Uber is paying quite a bit of money to Amazon Web Services for all the compute and storage they use. My point is the cost of a single additional transaction (i.e.the additional cloud computing cost) is incredibly small and immeasurable. Fixed costs are those that do not change, regardless of the number of transactions. These are things like the cost of Uber’s offices, Uber employees, marketing and advertising costs, etc. The costs are also quite high for Uber. One could argue that these costs are the reason that Uber is not yet profitable. At some point they’ll probably be a public company, and then we will see. Most Uber drivers do not have very many fixed costs, unless they bought a car for the express purpose of Uber driving and do nothing else with it. If they did that, the cost of the car payment and the cost of insurance for that vehicle would all be fixed costs. Net profit is the amount of money you made after you subtract fixed and variable costs. In the case of an Uber driver, this is the amount you made after deducting the incremental costs of the additional miles you drove for a given passenger, and any fixed costs you have for the month. Net profit for Uber is a bit harder to calculate, because we have no idea what its fixed costs are. For the purpose of this article, I’m going to focus on incremental net profit. Specifically, how much did Uber and I actually make after subtracting the variable costs from the incremental revenue? We all know that Uber isn’t making a profit overall. Once it subtracts its fixed costs, it is hundreds of millions of dollars in the hole every quarter. But that would still be the case even if I hadn’t given 25 rides on their behalf last weekend. But let’s just look at these 25 rides. What was my and Uber’s incremental net profit after subtracting the variable (incremental) costs of delivering those rides? How Much Did I Actually Make? If you haven’t already read it, please review this article where I wrote about how to calculate the variable cost of each mile. Here’s a quick review. The variable costs of each mile include the depreciation in the value of your car, fuel, tires, and maintenance. Here is the updated spreadsheet I used for this article. Note: Click “File → Make a Copy” in order to access these spreadsheets so you can edit them. I use the Kelley Blue Book to figure out that each additional mile I put on my car reduces its value by $.06. AAA said the average car is driven 15,000 miles per year, and costs $1,186 per year to maintain. That gives me an average maintenance cost of $.079 per mile, including tires. I use Quickbooks Self Employed as my mileage tracker, and it tells me that I put an additional 381 miles on my car the weekend I used for this article. That means my variable/incremental costs for that weekend were $84.38. Just for completeness, I’m going to include my fixed costs of $3.96. In return for delivering 25 rides, I was paid $224.59 plus $40 in tips. After subtracting my fixed and variable costs, I had a net profit of $176.25 if you include tips, and $136.25 if you do not include tips. That’s $14.69 per hour with tips, and $11.35 per hour without tips. To make $14.69 per hour in a “real job,” I’d need to make $17.00 per hour before taxes. If you’re interested in that part of the calculation, make sure to go back and read my original article on this. I wrestled with whether to include tips for the rest of the article. My personal opinion right now is that I should not do that, as tips are paid directly to me and aren’t figured into any calculations on the Uber side. Determining how much Uber made required a bit more work. I followed the same process that I used in this article, including the same spreadsheet, to determine that Uber was paid a total of $321.42 for these 25 rides, including $68.90 in booking fees. After subtracting what they paid me ($224.59), they were left with an incremental net profit of $165.73. That’s right. If you don’t include tips, Uber made roughly $30 more than I did after you subtract variable costs from both sides. If you do include tips, they made almost the same as I did. The problem with this comparison is that it really isn’t taking their fixed costs into consideration. It is true that Uber’s infrastructure costs do not go up very much for an additional 25 rides, but these 25 rides would not have happened without the vast research, development, marketing, and infrastructure management complex that Uber has. So it’s really not fair to consider only the variable costs in this equation, but they are interesting to look at. I can make a number of observations like I did the first time I did these calculations. It is interesting that even with the increases we’ve seen in the booking fee, and the occasional massive overcharging of customers via upfront pricing, Uber still only made an average of 30% of the total take if you include the booking fee, and only 11% if you don’t include it. Yes, there are times when an individual passenger got overcharged for a given ride. But there are also several times where a customer underpaid for a ride. Uber lost money in four out of the 25 rides, even when you include the booking fee. In 11 of my rides, Uber made only the booking fee – or less. I’ll also mention that the per hour amount of driving for Uber is better than any unskilled alternative I can think of – assuming you’re doing it part time and are not trying to make an actual living at it. As mentioned previously, I’d need to make $17.00 per hour before taxes to make the same kind of money I make driving for Uber. If you need to make an actual living and can find a job that pays better than $17.00 per hour – take it. Especially if it doesn’t included putting hundreds of miles on your car every week. 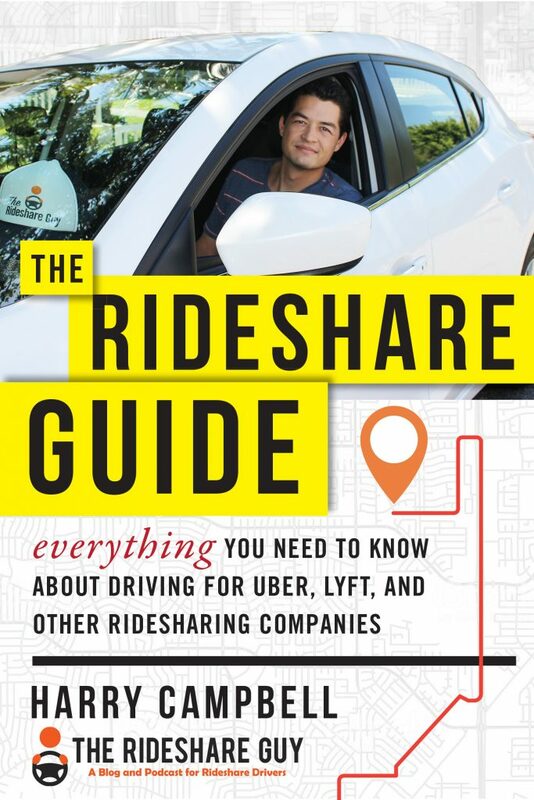 But if you just need a way to pick up a few hundreds bucks a weekend, or need a way to recover from a short term cash crunch, I still can’t think of anything like the opportunity that rideshare driving offers you. I was unemployed for a bit and I drove like crazy to make ends meet. I’m gainfully employed now, so I drive when I feel like it, when I want a little extra cash, or when something unexpected happens. When my water heater broke and it was going to be $800, I remember thinking, “I better get out on the road for a week or so.” Despite all my frustrations with Uber and Lyft, I still can’t think of a better alternative than what I used it for. Readers, what do you think of this analysis of what Uber makes vs. what drivers make? Are you going to try this analysis using the spreadsheets in this article? 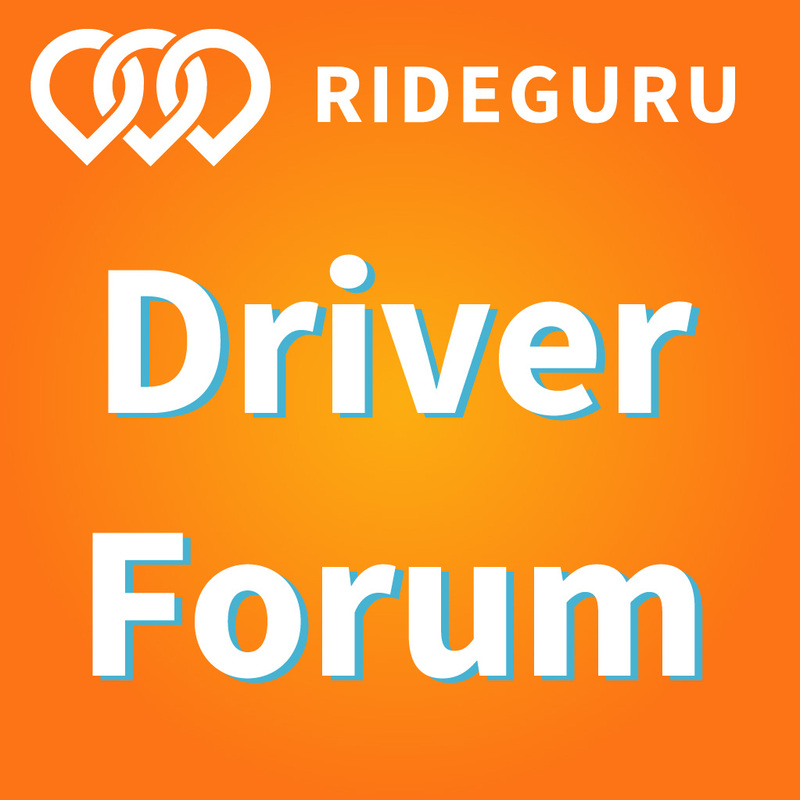 Will Preston is a part-time rideshare driver with over 4,000 rides under his belt. He drives in the San Diego market. Like a lot of people, Preston has a day job and it's as an IT analyst specializing in backup and recovery.